Why Spend More to Replace when you can Resurface for Less? Resurfacing, also known as Refinishing and Reglazing is the process of repairing and applying an industrial coating to a worn or damaged surface to restore it to a like-new condition. 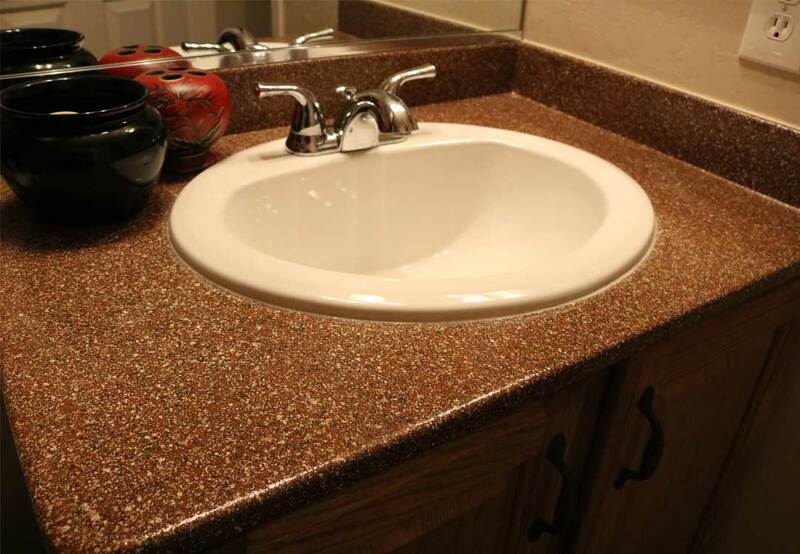 We offer resurfacing for sinks, countertops, tubs, showers, enclosures, and surrounds. 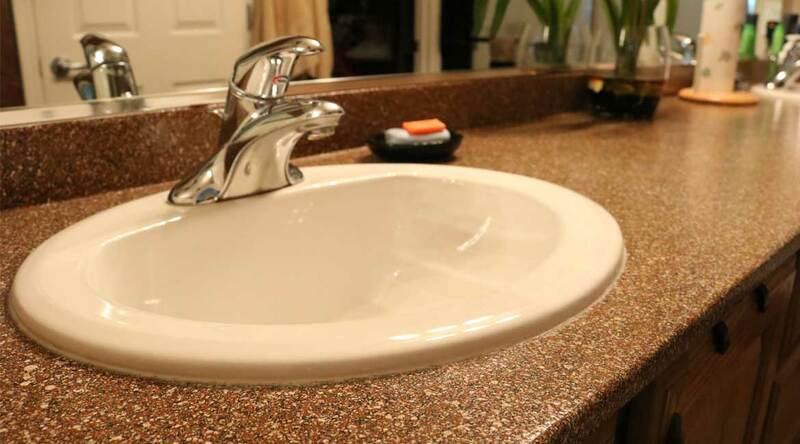 Is your countertop, tub or shower damaged? 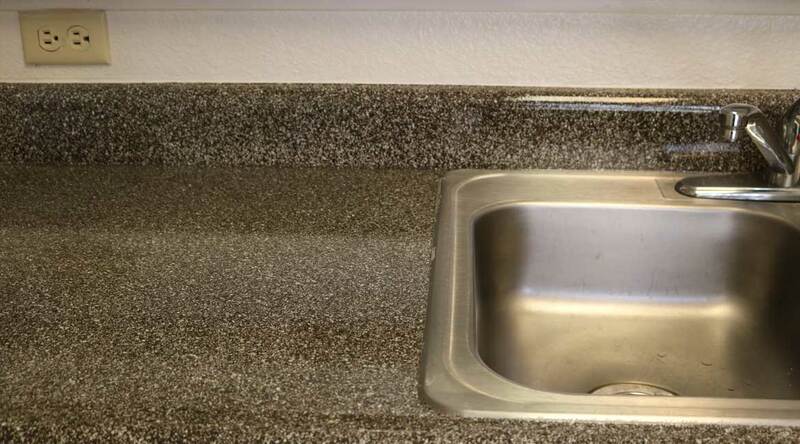 We can fix countertops made from Formica, laminate, tile, Corian, quartz, cultured marble and even granite, that have been chipped, scratched, discolored or have burn marks. 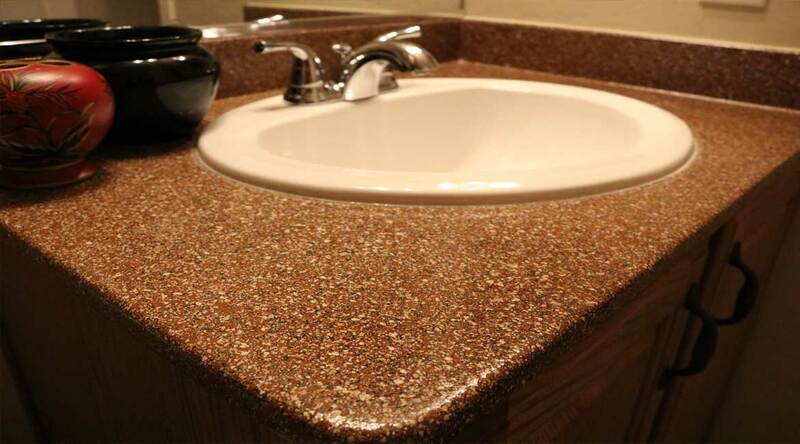 We’ll make your countertops look new again! 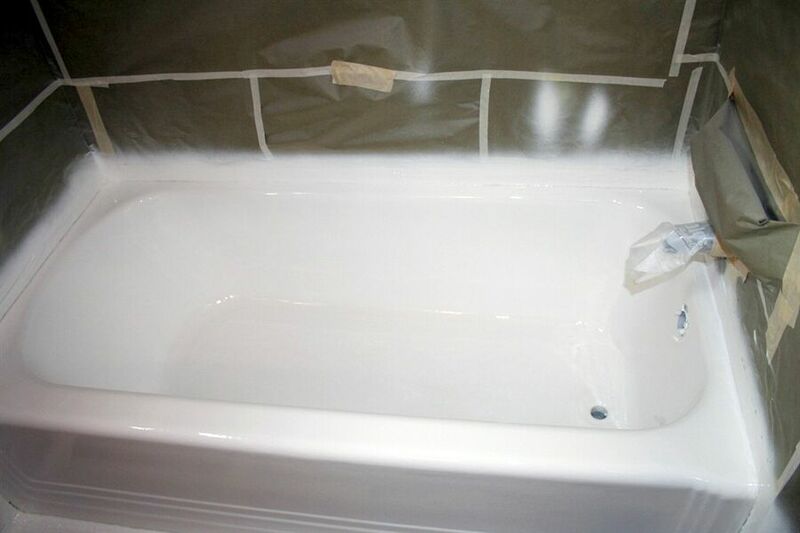 We can also repair any size holes and cracks in a tub or shower made of fiberglass, porcelain, tile, metal, and cultured marble. Are your countertops looking tired and out dated? 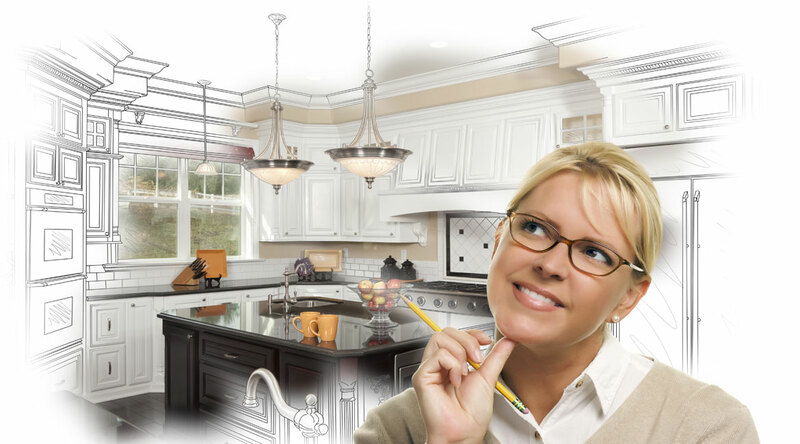 If you plan to remodel your kitchen or bathroom, we can help! Resurfacing is a more convenient and affordable alternative to Replacing. 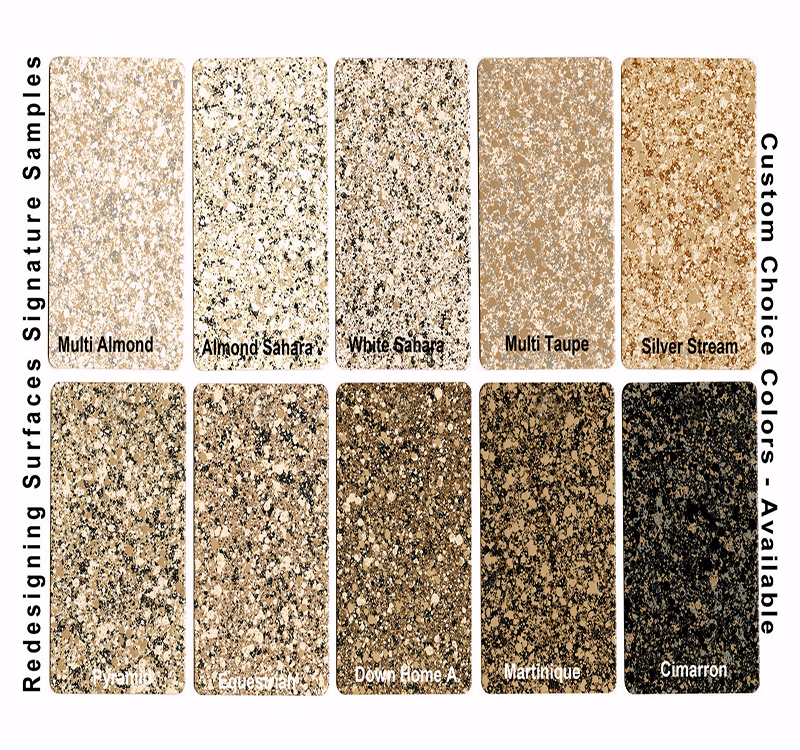 We can even customize your countertop to any color of your choice! Thank you for your fabulous work. You're on my recommendation list! I have to tell you I never write comments but sometimes you have to when things go so easy and perfect. As a woman on her own with an EX who always handled any of our HOA required maintenance and just overall service quotes in general. i Knew nothing about pricing or where to go. I was just going to ignore it and hope the house painted itself. Then I met the RSI team painting my neighbors house. Extremely friendly team! Fair pricing. After i did my research i was sure. Im so happy with the results of painting my trim and garage . For an additional charge they even offered to paint my tree. Hahahaha! I never thought that was possible. I just wanted to say thank you for doing an excellent job and i will always recommend a trust worthy team that you have. A++++ and thank you again! Cant wait to see how you can fix my "do it your self disaster" in my master bathroom. Have a great day! This company does amazing work in a timely manner and is budget friendly. Very friendly staff and i am highly satisfied with their work within my budget. My wife and I decided to remodel our main bathroom. I had seen RSI's work in a few friend's houses a few years back and inquired what company did the work. I contacted RSI and had a pleasant conversation with the main office. A short time later I was contacted by Jerry, in sales, to set up an appointment. Jerry was on the ball and responded to my residence the next day to look at the shower area and give a quote. The quote was extremely reasonable and three days later the painter showed up to do the job. The three tiled shower walls were sprayed to match the granite bathroom counter top and the fiberglass shower pan was done to match the vessel sink. 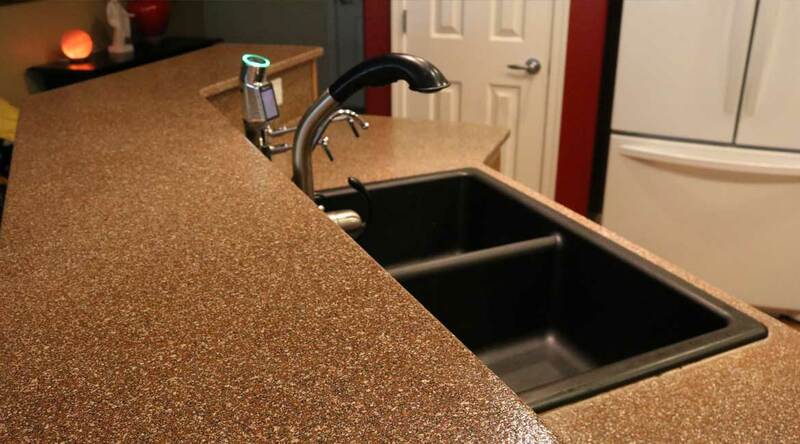 Jerry was very accommodating on creating a custom color blend to match the granite and vessel sink. When the job was complete, it looked fantastic! I have already referred several friend's to RSI after they saw my results. Great job and greater customer service! Thanks RSI.